Warehouse Management Systems: Is Your Warehouse Ready For The Economic Upturn? What steps can your company take to ensure that your warehouse is prepared to hit the ground running when the economy starts picking up? Having weathered the torrential economic storm, it looks as if the metaphorical sun is about to break through the clouds. Surely this is all good? However an upswing in the economy will mean a fresh surge of clients and customers for you warehouse but do you have an effective warehouse management system in place that will cope with this change? This surge will result in an influx of new orders and shipments. In order to ensure that your warehouse is ready for this increase in business, Handling Equipment Online have prepared their three point plan. A warehouse management system is essential in order to maintain ongoing operations, support changing customer requirements, keep up with new industry regulations and just simply to get orders out of your warehouse on a daily basis. However an inefficient system may actually be hampering your potential. 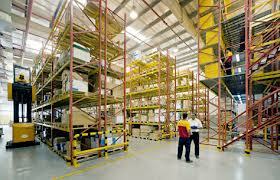 Businesses change their WMS for a wide range of reasons. However at the most basic level, the question you need to ask yourself is whether your current system either strengthens or hinders your ability to execute and effective the business strategies, which are necessary for building and maintaining a competitive edge, responding to continual and inevitable change whilst also growing your business. If your WMS does not accommodate these things, it may well be worth replacing it with a system which is both adaptable and flexible. This will place your company in a better position to take advantage of the new opportunities which will emerge as the economy recovers. After the initial application of the warehouse management system, businesses often let the system fall into neglect. A WMS is not a system which can be implemented and then left to its own devices. It is in fact a system which must adapt to changing business conditions if it is to remain effective. As the demands of your customers change, your WMS will also need to change in order to facilitate these changes. Unfortunately yard management is often one of the last areas to be addressed as part of a WMS project. However better management within your yard can not only provide more efficient goods movement, but it can also result in significant cost savings. It is a little known secret that labour is typically the most expensive aspect of warehouse and distribution operations. It is well worth designing your labour management system (LMS) to work in conjunction with your warehouse management system. Productivity gains directly resulting from an LMS are typically between 10 and 30 percent. Furthermore the majority of companies who employ a LMS see a return on the investment within a year. In the economic downturn you may have taken steps to identify new suppliers and enter new geographies. However if these efforts take off, does your supply chain have the facilities to support it? The overwhelming majority of modern supply chains consist of complex global relationships. Due to this it is worth identifying areas of this chain which may be weak links, which when properly addressed and remedied will result in a stronger and more efficient supply chain. Whilst the integration of one-off point solutions may result in some improvement, the greatest long term value will be achieved through adopting a comprehensive and integrated strategy which takes into account the entirety of your supply chain. Your business has survived the worst of the economic downturn. Now is the time to ensure your business performs to optimum efficiency in order to welcome the increase in custom which will result from the economy’s revival. Your WMS should be a key player in your search for cost saving efficiencies whilst also contributing towards the integration of your global supply chains. This entry was posted in Keeping Inventory and tagged warehouse management system on September 13, 2013 by admin.